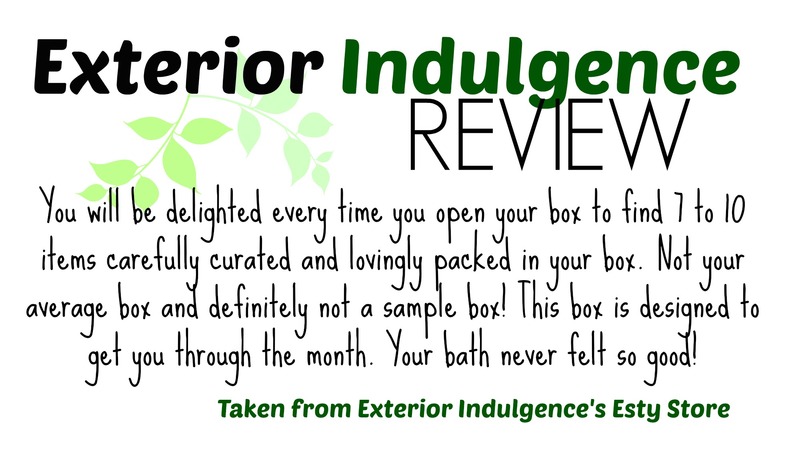 Exterior Indulgence Review – February Box! So excited to share my latest Etsy find that’s led to this Exterior Indulgence Review (February Box)! Thanks Twitter, for helping me find this amazing company! We crossed tweets, I was offered a discount coupon & special Canadian shipping… Beauty box and blog love at first purchase- the contents of my Exterior Indulgence February box far exceeded my expectations for what I paid! 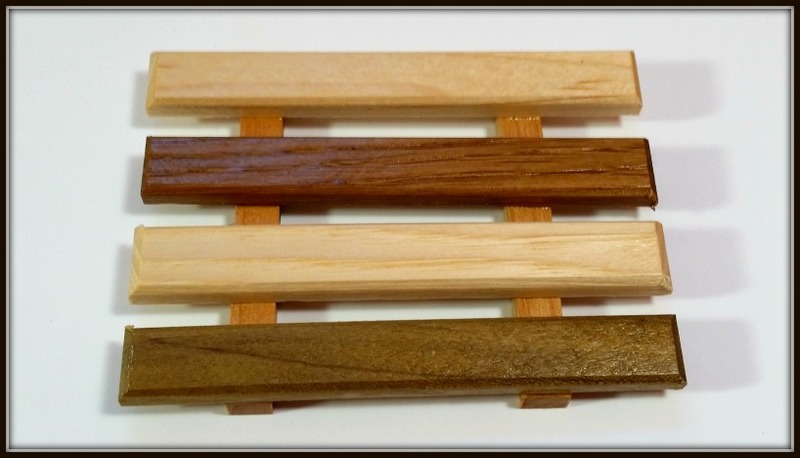 Would I buy again- YES – without a doubt! 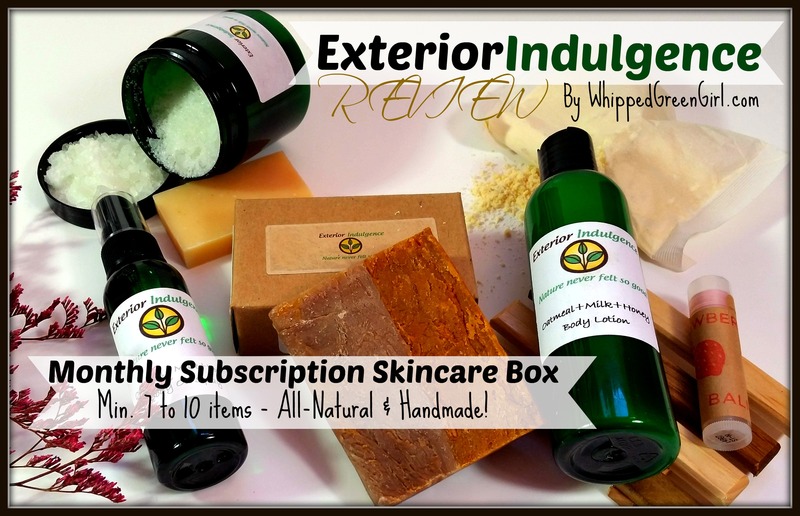 If you’re not interested in buying a full beauty box & prefer buying single items from their skincare line, visit Exterior Indulgence’s ETSY HERE! They’re currently offering 20% off any store item (use COUPON CODE: GIVEME20)! I love that this box gives not only full-size items (cause who doesn’t want those…) but I loved the few travel size items too, I always need them for trips and they’re handy to have on hand. 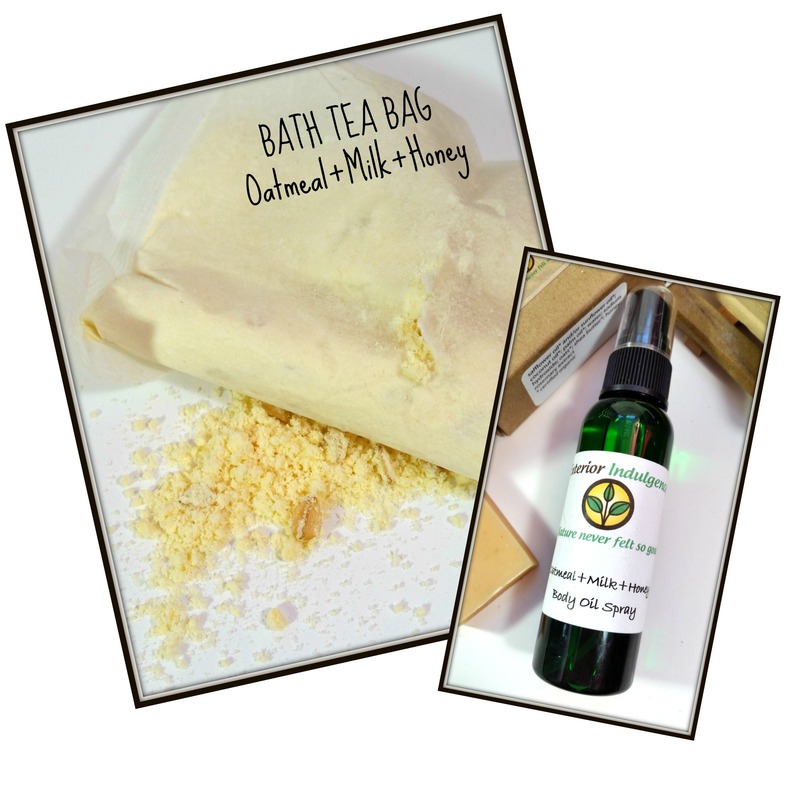 The smell of the “Oatmeal+Milk+Honey” products (sea salt soak, body oil spray, tea bags, & lotion) made me want to eat em’, they smell so sweet and delicious- kind of like cherries/almond extract! I adore the body mist oil, it’s a quick skip when I’m just too lazy to lube-up with lotions. A few spritz of this spray makes my skin instantly happy and fresh smelling. It’s definitely my fav item in the box. The lip gloss is firmly in second place, I love- love the taste and smell of it. 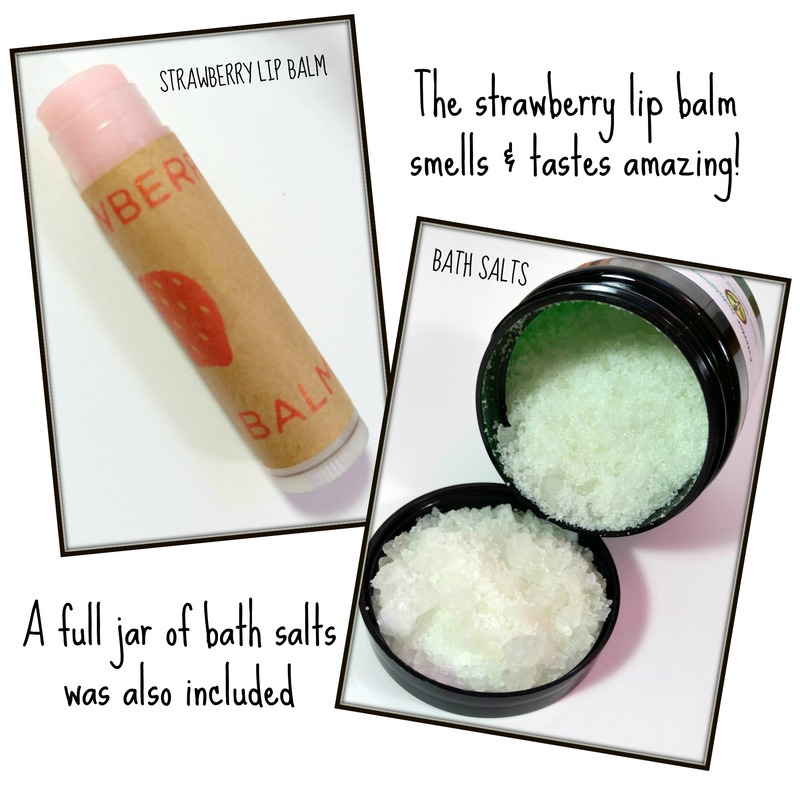 It’s beeswax based too, so it really works overtime keeping lips from drying out. The shipping was fast, the touch was personal. 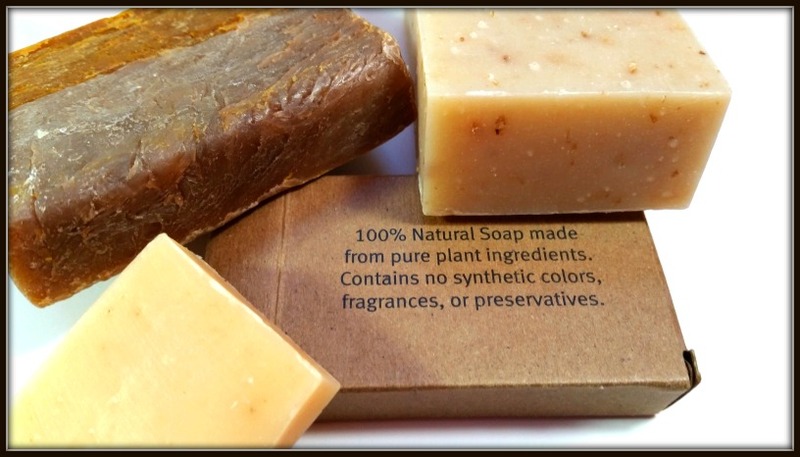 There’s nothing better than buying from warm, local artisan’s who care and follow-up. The owner included a sincere “thank you” note. Thank you’s go a long way… It’s always nice to know as a consumer, I – in that moment, mattered. Exterior Indulgence plan on growing the creative contents of their boxes to include even more healthy lifestyle items. I’m excited to watch this brainchild grow and see where they’ll go next; like a proud mother hen, I’ll be watching. 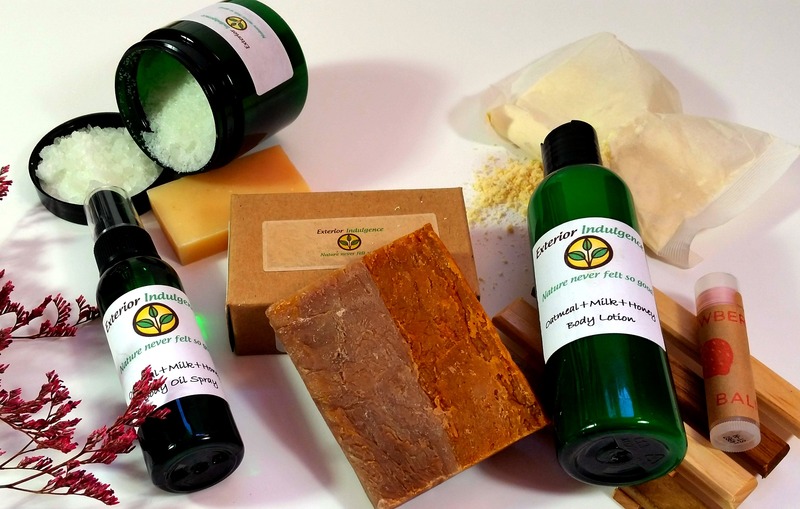 Monthly beauty boxes are all the rage, but rarely do they offer a “one-shot deal” like the lovelies at Exterior Indulgence. So many mail-out, subscription companies insist on locking your credit card in stone, constantly haunting you with new monthly bills and fees. It makes the whole subscription deal an absolute horror to cancel and stop. Sometimes you just want to try one darn box! Not these guys, chose the 1 month only plan, you pay- you get ONE box- you are done. I LOVE IT! The contents of my box was original and generous, I got everything to literally have a spa day at home, handmade soap dish included. This was a random purchase for me, coupons always entice me yes, but what a sweet surprise. This box was a real score and most definitely deserving of a 5 STAR Exterior Indulgence Review. Proud to support and put my stamp of approval to anyone interested in Exterior Indulgence. 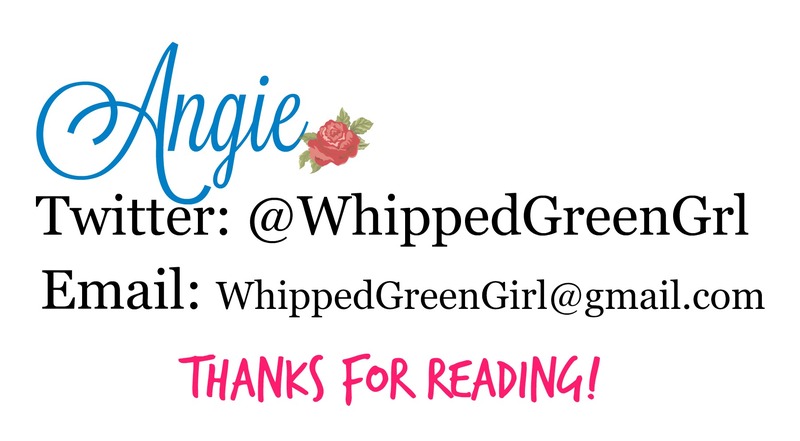 See their Etsy store HERE or buy via CrateJoy (USE COUPON “WGG20” for $20 off!) HERE! 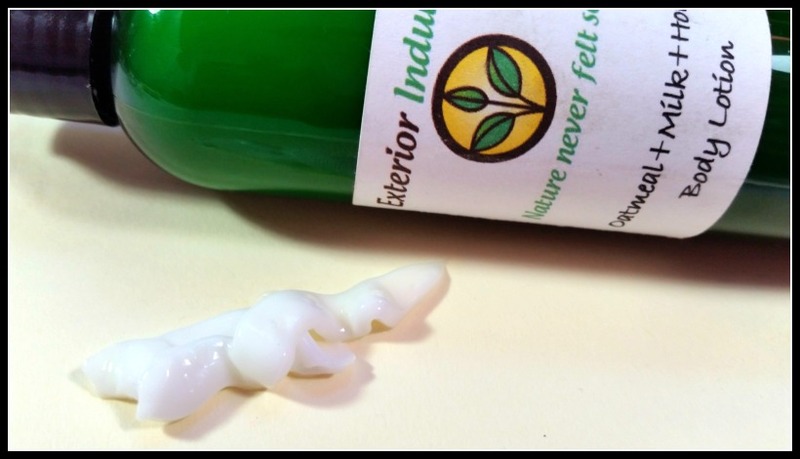 Hope my Exterior Indulgence review serves your skin well!